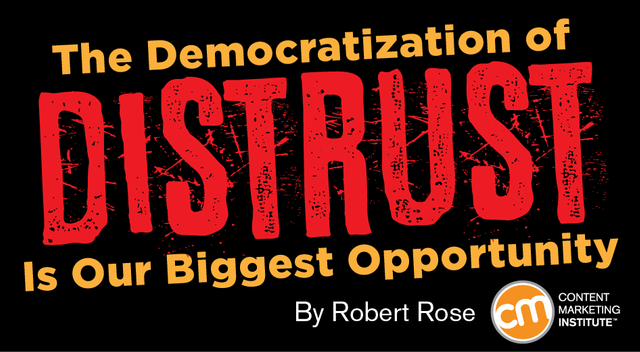 Must admit that with a title of democratization of distrust I was all ears. People just don't believe brands anymore. And I don't just mean fake news. When a brand says they can "wash whiter than white", nobody believes them. In fact this is "Fake Marketing" and as consumers we have switched off. The reason why brands don't have our attention is that brands spend their time shouting "fake marketing at us". Rather than my attention, as a brand you could try creating a conversation with me. Now that would be revolutionary! Every day you see new strategies to increase the attention we receive from our audiences and buyers. You have “attention marketing,” a term describing a business model built around the hyper growth of social media.